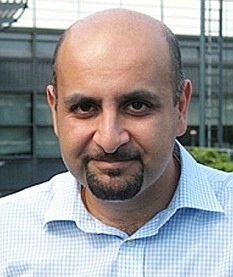 Skeptobot: BBC appoints Muslim as head of religious broadcasting: Daily Mail begins the idiocy. BBC appoints Muslim as head of religious broadcasting: Daily Mail begins the idiocy. This is Aaqil Ahmed. He is a practising Muslim. And on Monday he was appointed Head of Religious Broadcasting for the BBC. This will be FUN. Anyone who has ever read the Daily Mail knows that it doesn't like 'the BBC', 'the Muslims', Immigrants, being 'politically correct', and crucially any deviation from a bizarre belief in a cultural Golden age that ran from 1935 to 1955. One where there was NO CRIME, teenagers loved their mothers and we all went to an ENGLISH Church. So you can imagine the fallout that this will cause in certain circles. Personally I can not WAIT for The Christian Voice's response. They've probably thrown up a lung whilst clasping a copy of the BBC recording of 'Jerry Springer The Opera' to their chest. Why can't the BBC understand that we are STILL a Christian country? I imagine that having a Methodist preacher at the heart of the BBC was more than it could stomach. The BBC does not like God, unless perhaps it be a Muslim, Hindu or Sikh version. At every possible opportunity it will wheel forward one of those professional atheists who are not happy to live silently with their own non-belief but are determined to shove it down everyone else’s throats. One of the most popular religious stance in the UK (i.e. that of none) being represented in religious programming is balance. Sorry it is lodging in your throat Steveo. He goes on to blame this appointment on the "secular tide" that is taking over the BBC. Apparently atheists prefer Islam. For all I know, Mr Ahmed may prove himself remarkably sympathetic to the sensibilities of Christians in his new job. One cannot, however, count on that, and it is interesting that he has said there should be more coverage of Muslim matters in the media. Will this, on the BBC, be at the expense of an already reduced number of Christian programmes? In all kinds of ways the publicly funded BBC does not reflect the views of the public it is supposed to serve. No doubt its secular suits assume that Britain is as anti-Christian as they are. They’re out of touch again. In appointing Aaqil Ahmed they do not simply offend against this country’s Christian heritage and traditions. They also further weaken the hold and authority of the BBC. No sorry. I can't think of an equivalent 'good version' of Three Pints. It's like trying to find the good version of the HIV**. I have no doubt that a lot of people in the UK do like to think of ourselves as a Christian Nation, but not in any sense that applies to people who are actually religious. If you will allow me a tortured metaphor It's akin to red phone boxes. 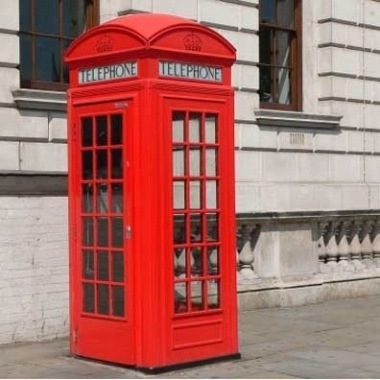 Christianity in England is like a Red Phone Box. We all love the Red Phone box. It is part of our heritage. But you wont catch us using it unless we really have to. It looks nice as you pass by it, but once you actually get inside a phone box it gets really creepy. Full of dirt and urine and weird sexual promises. But despite the fact we never use them (except when a tourist friend wants you to photograph them in one***) I'm sure we all want them to keep popping up across the landscape. Just don't ask us to pay for them. But the BBC shouldn't be making shows for the express purpose of allowing Stephen Glover et al. to flick past them on a sunday morning before watching Shipwrecked. Let it make shows for the people who actually believe in these weird things. Not the 'culturally religious'. Oh and if Stephen Gover really wants balance in the programming he needs to get the Beeb to employ a secular agnostic as its head. * I was talking about 'CBeebies' what did you think I was talking about? Shame on you. ** Almost did a PIN number. *** This part of the tortured metaphor represents weddings. I told you it was tortured. I expect this will be the Fail's front page for the next month or so, they don't have to work too hard to find their stories..
Also, neither of your pictures loaded in Firefox, I run NoScript but I've allowed all on your page, not sure which end it is. If Stephen Gover really wants balance in the programming he needs to get the Beeb to employ a secular agnostic as its head.